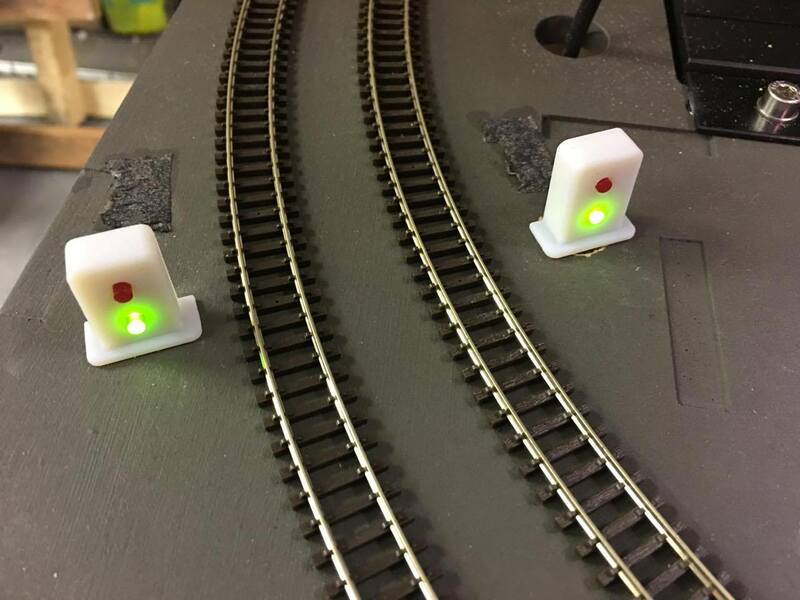 Following on from our discussion of the NellyCOM serial communications interface in the last newsletter, we have recently been using this communications port to develop a small prototype set of signal lights. Seemingly a fancy little notion perhaps, this has actually proved very useful when operating the Nelevator; a quick glance at the signals instantly tells you if the Nelevator is stationary and if it’s safe to drive your trains in or out. 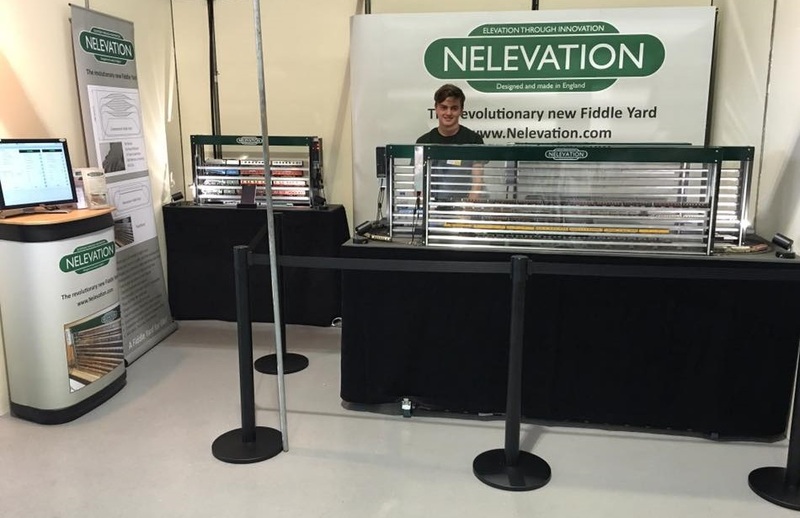 We have received over 160 orders for the Nelevator, with our first dating back to September 2015, and have shipped just over ten N gauge units so far. We are extremely cognoscente of our bottleneck in production; desperately trying to juggle the day job running a product design business with building Nelevators! As such we are currently in the process of taking on an apprentice to try to help alleviate the work load and get back orders out as soon as possible. To be fair to everyone we will be delivering them in the order they came in as we’re sure you can understand. When will I get my Nelevator? As the shipping dates approach for each order we will be getting in touch with you to confirm your requirements and organise delivery. 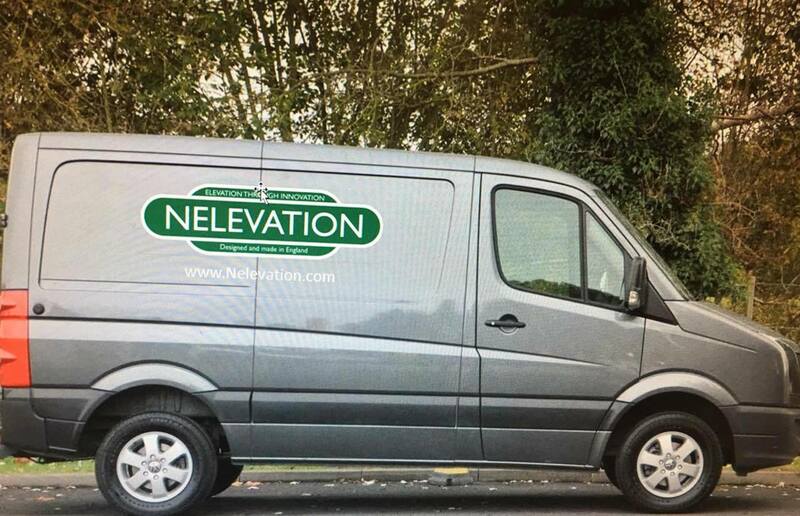 Rather than relying on couriers and expensive packaging solutions, and to ease with the UK delivery of orders, we’ve invested in a second-hand delivery van to ensure your Nelevator reaches you in perfect condition; and we’ll help install it too! Delivery of the first batch has been slower than we would have liked, pushing the second batch back a bit. However, we are hoping when our new apprentice starts to pick up speed and may be even claw back some lost time. While the OO design is finalised, and we’ve been demonstrating the short OO prototype unit at recent shows, we haven’t actually shipped any OO units yet. The vast majority of components between the OO and N gauge units are identical, however there are a few key custom mouldings that are different. Being a small, self-funded start-up business we’ve had to wait to ship a few N gauge units in order to release much needed funds to pay for the new moulding tools for the OO units, which should be happening soon. Thank you once again for your interest in the Nelevator and your continued patience if you’re waiting for delivery. We look forward to bringing you further updates soon and perhaps meeting you at one of the shows. Unfortunately due to a plethora of reasons, both technical and commercial, we won’t be able to produce an app for Apple devices, but do have a basic demo app for Android devices. Yes, we do also hope to be able to ship to Australia and are currently working on the packaging solution at the moment. Thanks. There are quite a few MERG members here so maybe that could simplify things. Any idea what the freight cost to Australia is likely to be. It’s good to hear that MERG is active in Australia too. We are currently working with MERG who are looking at developing an interface between their CBUS system and the Nelevator, so that may prove useful to you also. Until we have the final packaging solution I’m afraid we won’t be able to give you an accurate freight cost to Australia, but we’re getting closer as we now have the first prototype of the packaging. PE28 3 AR United Kingdom. My wish is that You build this Board so , that the Nelevator is already installed by You. Including the 2 Circuits. Just as it was presented in London by You for N Gauge. I think it is best for the simpler and quick construction of us in my Room. i Need the Price and the Bank Connection ( or via Paypal ) from You, so I can pay the 50% . Please send me the measurements from Your Board, so I can measure it ( in mm ). I hope , You understand my English.